We are a group of volunteers, professionals working in many areas, but mainly in the field of medicine. 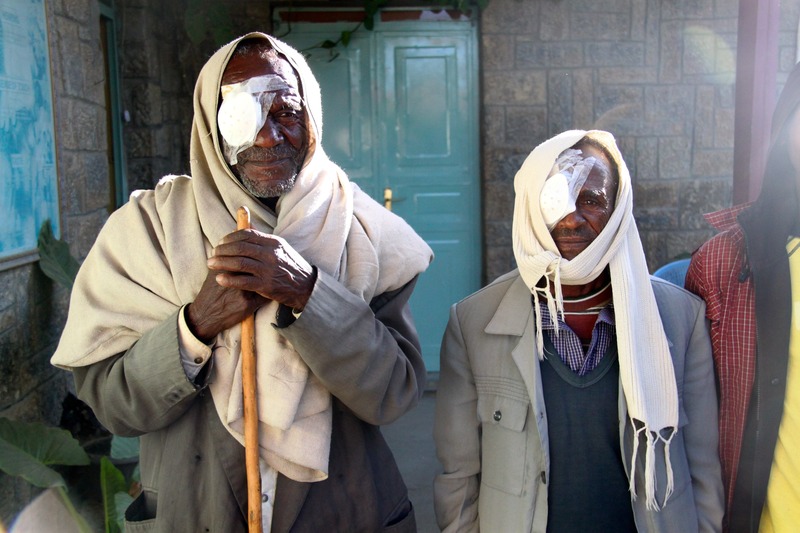 Our shared aim is to improve eye health in a poor area in Ethiopia by fighting to erradicate avoidable blindness in twelve woredas (districts ) which cover about one fourth of the Region of Tigray. We would not be able to carry out our project without the financial aid provided by our members and collaborators, they are a vital part of our organization. 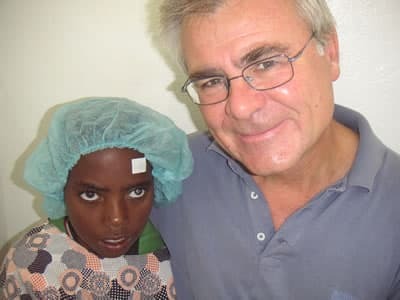 To erradicate avoidable blindness in developing countries, especifically in Ethiopia by means of prevention, eye care, training opththalmological experts , performing eye surgery and providing medical equipment , medicines and optical equipment to the neediest population having no resources. Proyecto Visión has an agreement with the Order of the Daughters of Charity , who own the Clinic to finance the running of the Clinic, to maintain the operating theatre and equipment, to supply medicines and surgical material. Also, to send doctors’ teams to perform surgeries; to take care of the medical coordination of the clínic and to train the Clinic’s Cataract Surgeon and OMAs. The 2017-2019 agreement is renewable. 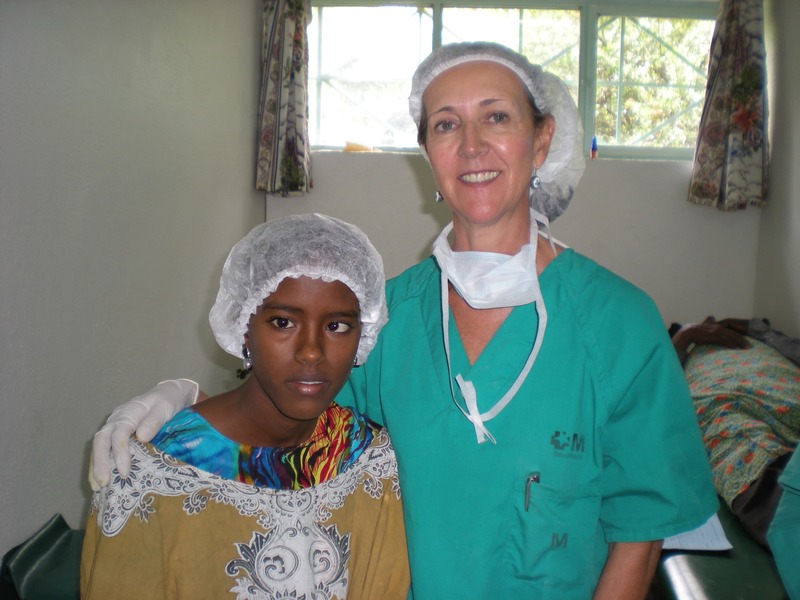 We provide eye care to the population of the woredas assigned to St.Louise Eye Clinic. We differ from other cooperation initiatives in that right from the start we have always been active at St.Louise Eye Clinic, located in Mekelle, in the Region of Tigray in Northern Ethiopia. Our decision which has been to always work in the same geographical area has allowed us to improve our equipment and installations .It has also made it possible to evaluate the result of our efforts long term. The Clinic’s recognition by the beneficiary population also makes it easier to continue with our work and to employ local staff trained by Proyecto Visión’s professional teams. 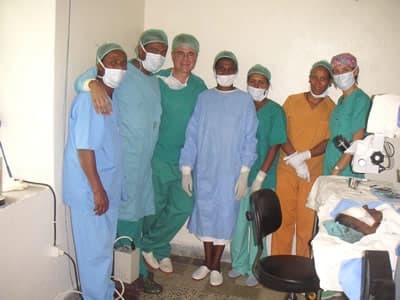 Some six or eight times a year a team of Proyecto Visión’s professionals, eye surgeon with an anaesthetist and a nurse travel to Mekelle for a two or three weeks’ stay. Prior to their arrival the OMAs have screened in the field the neediest patients who are able to travel to Mekelle at the given dates. 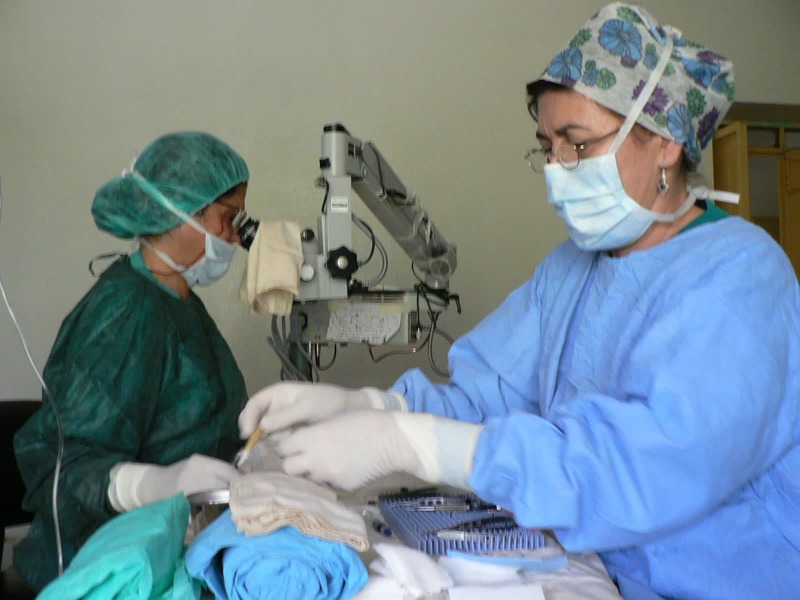 Proyecto Visión’s surgeon visit and perform operations with the assistance of a local cataract surgeon and local nurses. They usually perform cataract surgeries, squints in adults and children, glaucomas and see to traumatisms caused by accidents. The installations are constantly maintained in good order. Doctors always bring along with them medication which is difficult to purchase in Mekelle. 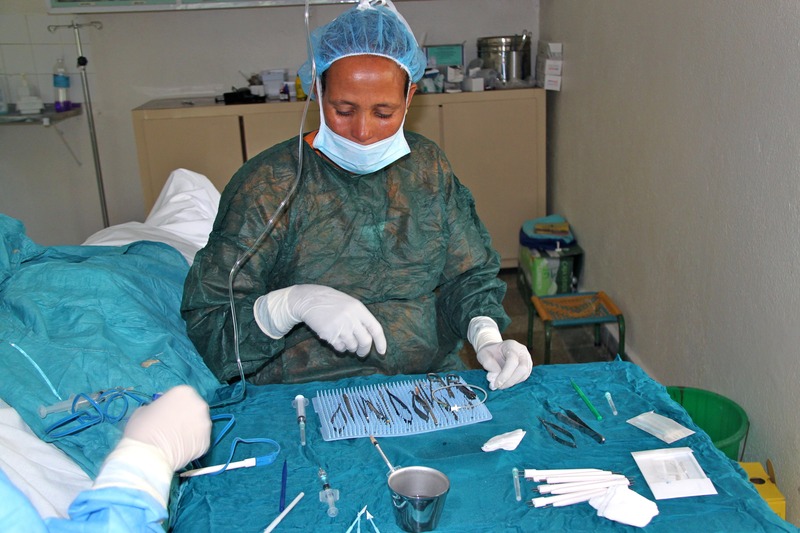 Complete statistics are drawn up after each trip stating the gender and age of the patients who have been seen, the kind of surgery performed and the post operatorional result. The clínic offers space to accommodate the famílies of patients who have had to come from afar . 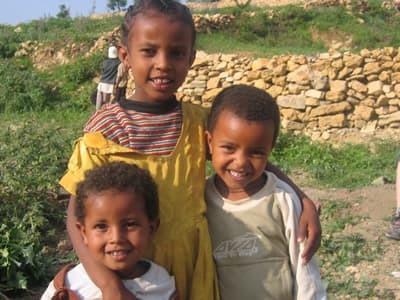 After many years of wars and draughts , in 1993 Ethiopia was plunged into poverty . with few resources to improve its situation. It was in the summer of that year that some Spanish opthalmologist doctors arrived at Mekelle, in the region of Tigray, Northern Ethiopia. In the midst of the desolation they encountered a group of Daughter of Charity nuns,who, headed by Sister Margaret , a woman of great fortitude , had installed a tiny dispensary, the St.Louise Eye Clinic. 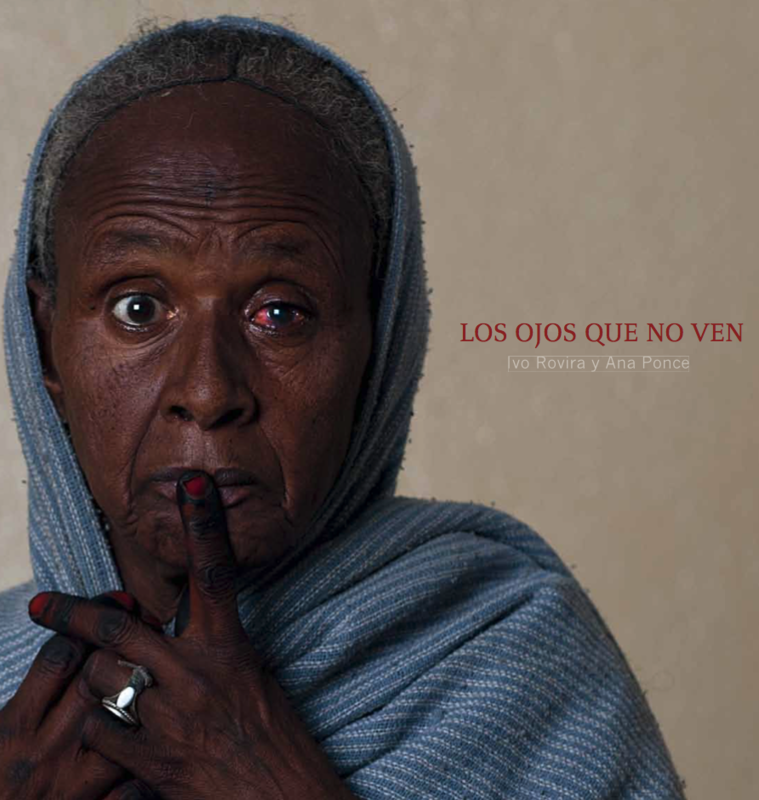 Here surgery was performed on thousands of patients suffering from blindness brought on by trachoma. The following year the Spanish opthalmologists , having very few means at their disposal decided to perform the first cataract surgeries. 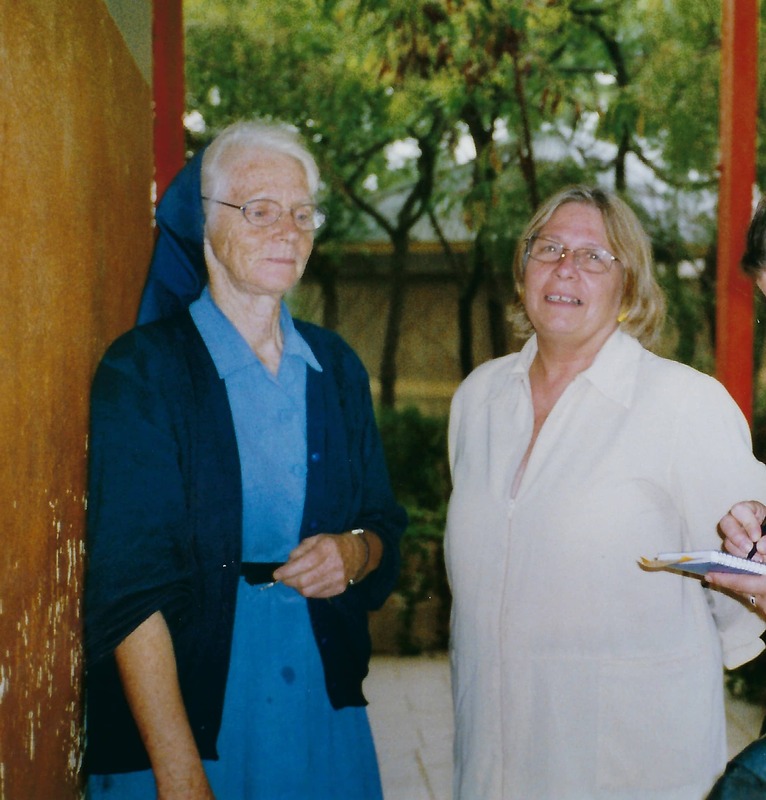 The collaboration agreement between the Spanish doctors and Sister Margaret took shape and Dr.Julio de la Cámara with a team of competent ophthalmologists founded the Proyecto Visión Association in 1995. The association’s project was to fight against avoidable blindness from a standard of excellence and in a sustainable manner. Since then , Proyecto Visión has worked with volunteers only , both for its management and in the medical field. The beneficiary population at present is of around six hundred thousand there being no discrimination from the point of view of class, gender or age. Proyecto Visión is financed by its members and collaborators, and has also benefited from some grants and prizes awarded to our track record. Proyecto Visión’s local counterpart have always been the Daughters of Charity. However, in order to consolidate our care , training and prevention projects our association has signed several agreements in the course of these years with the Regional Tigray Health Bureau and with Qwiha University. For over twenty years now Proyecto Visión has been working regularly , performing up to one thousand cataract surgeries a year at St.Louise Eye Clinic . 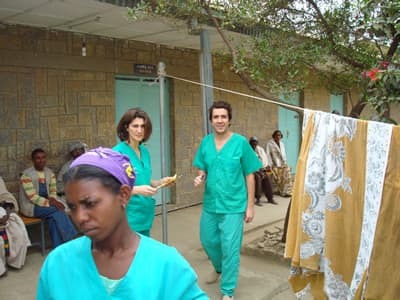 We have also updated the clinic’s operating theatre and all its installations, introduced the Opthalmic Medical Assistant (OMA) degree, created a school for these nurses and provided them with jobs, We have as well financed an opthalmological hospital in Qwiha, and set up an opthalmological operating theatre in Adigrat. We have collaborated in several prevention programmes , the S,A.F.E. programme for the distribution of antibiotics, we have drilled wells in order to supply wàter to the population and run awaredness raising programmes on hygiene at schools and churches. .Ethiopia has changed sinced 1995. Public health has improved and the needs at St.Louise Clinic have also been changing in the course of these years. Proyect Visión has adapted to these changes , always with a great sense of responsability and at all times, respecting the requests and needs of our counterpart. Why should I join Proyecto Visión ? You will be collaborating with an International NGO declared of public interest . Also , your donations are tax deductible. Can I contribute without becoming a member? Does Proyecto Visión work with local staff or only with travelling professionals? 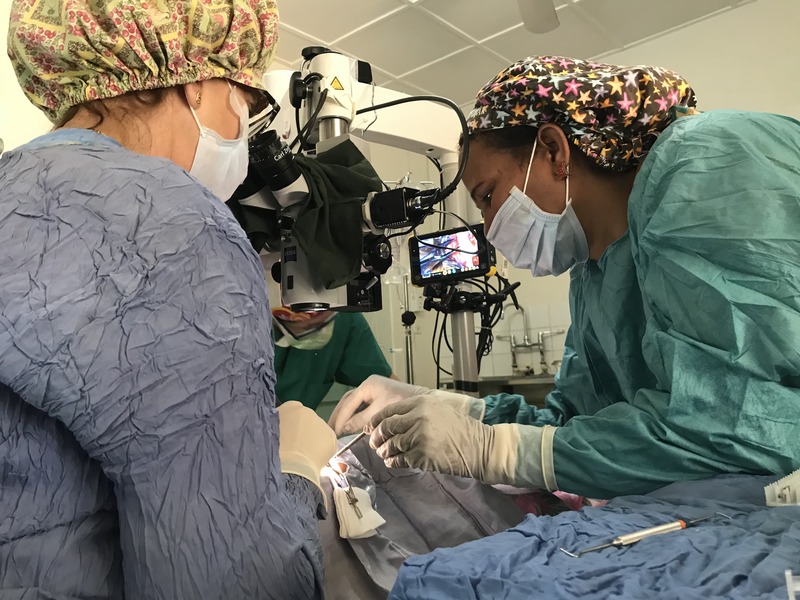 Our teams of volunteer ophthalmologists travel approximately between six and eight times a year to work jointly with the local specialized staff trained by Proyecto Visión. How can I know what our contributions are being used for ? Who are the beneficiaries of our contributions ? 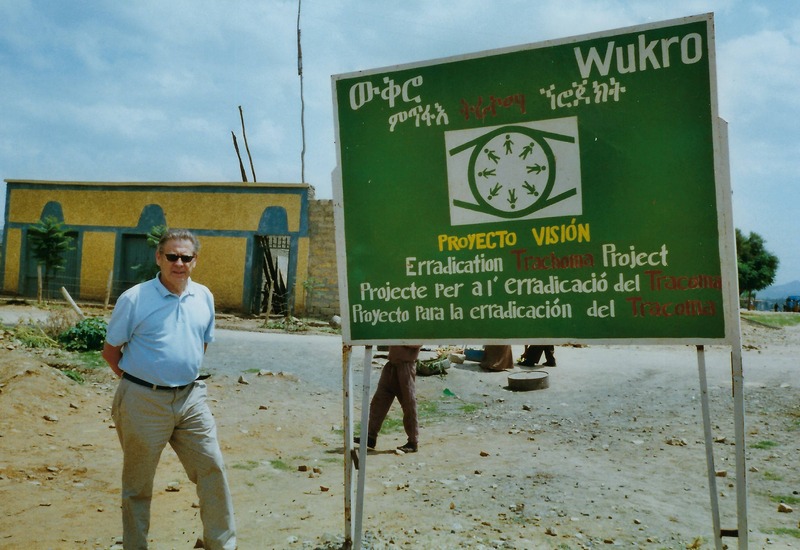 Whom does Proyecto Visión work together with in Ethiopia? 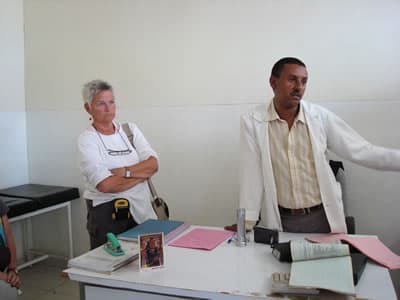 For over twenty years Proyecto Visión’s local counterpart in Mekelle are the Daughters of Charity who run St.Louise Eye Clinic. We carry out training and prevention programmes collabating directly with the Health Department of the Government of Tigray.